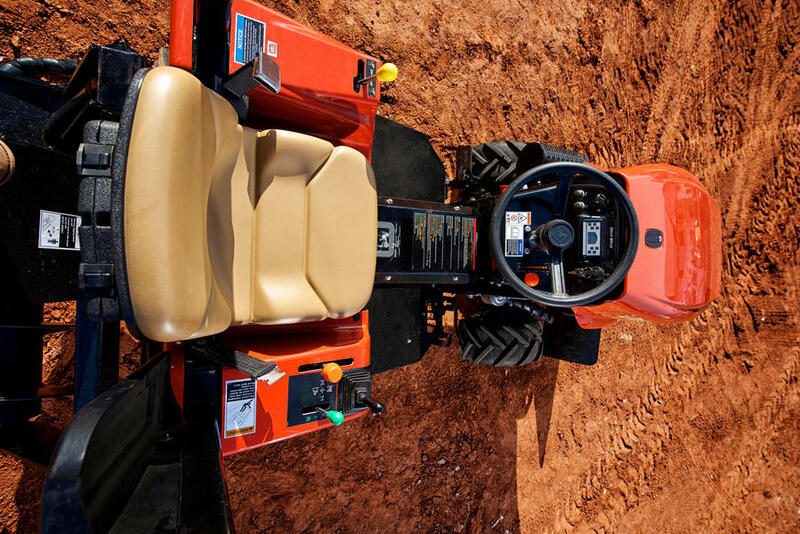 The 24-hp Ditch Witch RT30 ride-on trencher combines the maneuverability, low cost, minimal maintenance, and small footprint of a walk-behind trencher with the comfortable operator station, performance and easy-to-use controls of a ride-on. 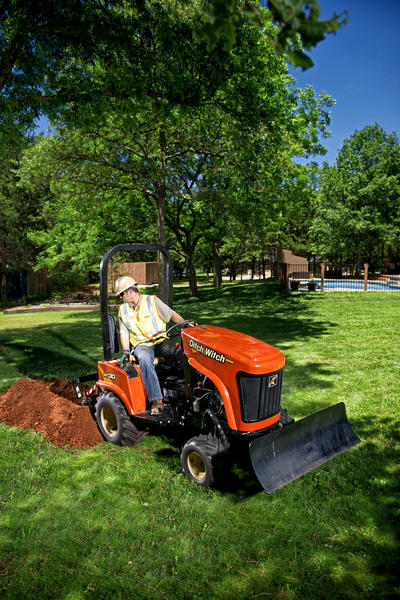 It’s a dedicated trencher with a sturdy, durable frame and field-proven components that provide consistently solid performance job after job, year after year. 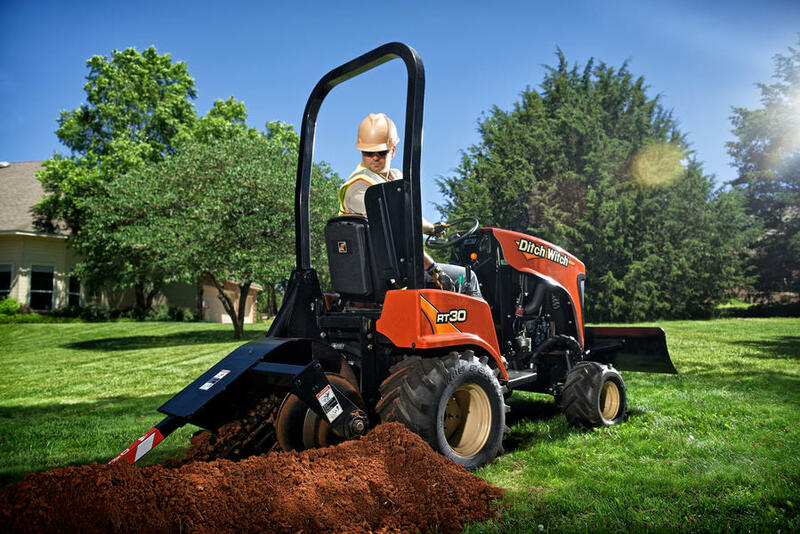 Simply put, the RT30 is the best compact ride-on dedicated trencher for the money. 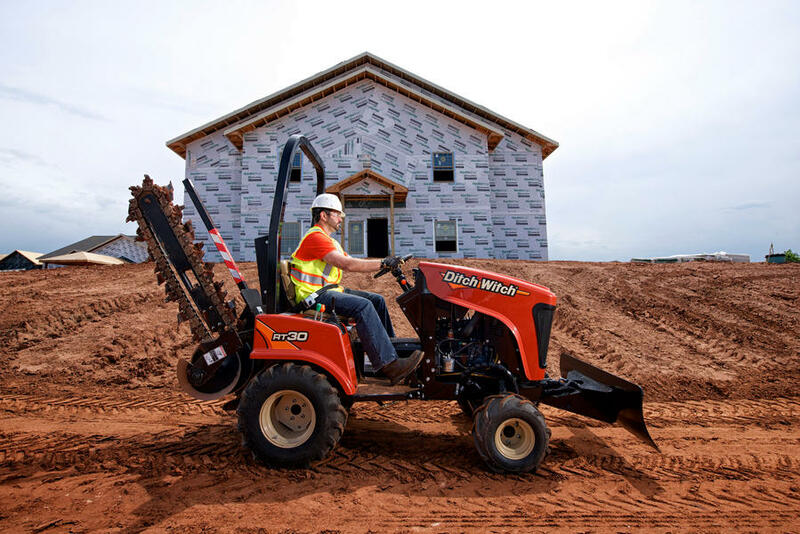 Compact footprint, tight turning radius, four-wheel drive, and industry-leading maneuverability make the RT30 ideal for installations on tight, residential jobsites. 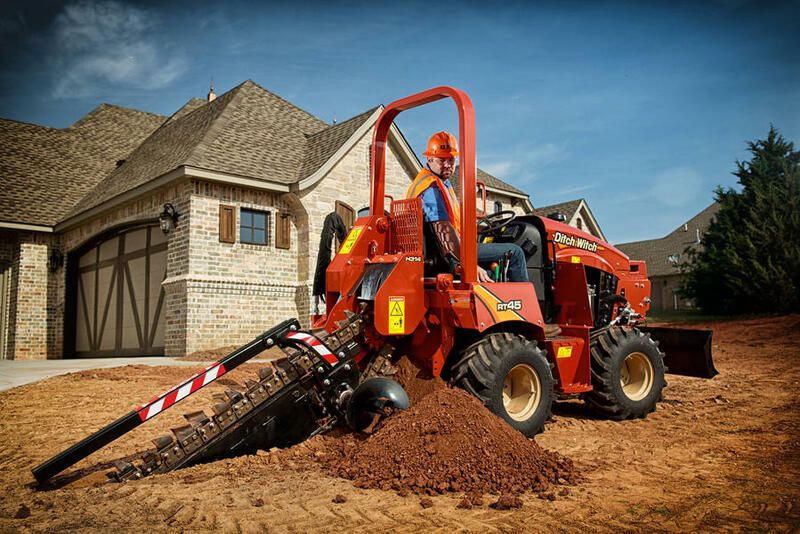 The RT30 is equipped with a very comfortable seat and operator’s station, plus easy-to-use, color-coded controls requiring minimal training and effort—features in great demand by rental customers. 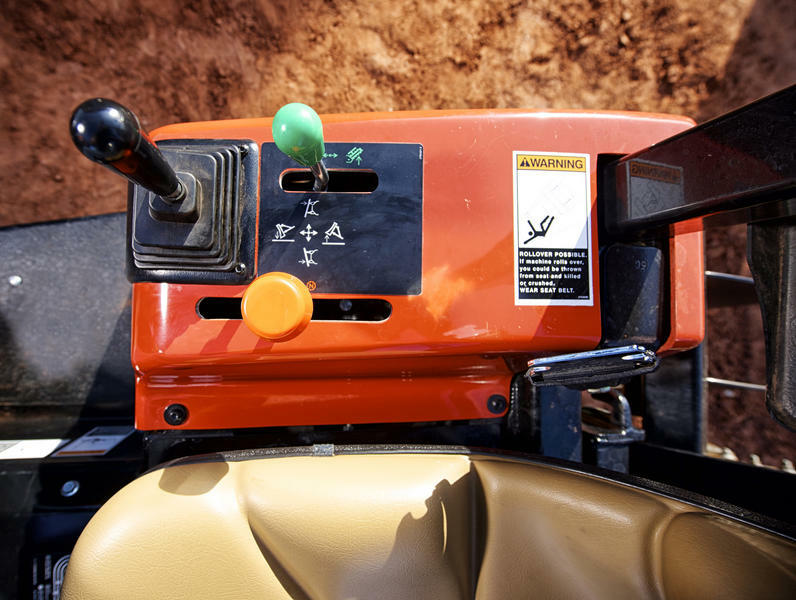 Hydrostatic ground drive is controlled by simple pedals for forward and reverse, located on the right side of the operator’s station. 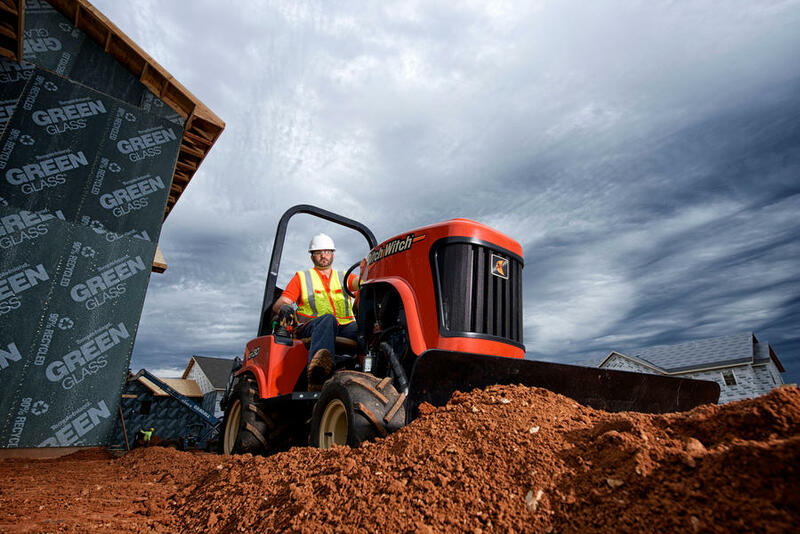 42-in boom provides 36-in cover depth, which meets most city codes. 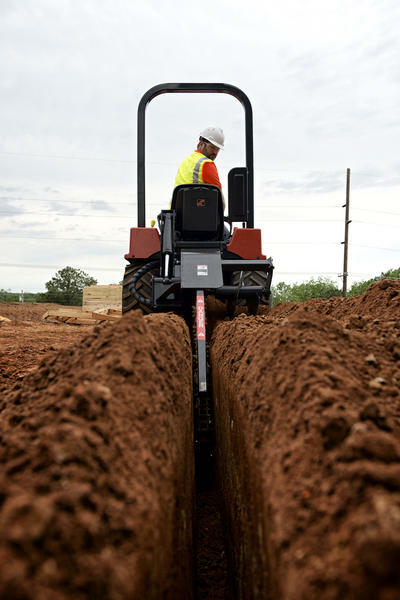 Four-way backfill blade makes short work of filling trenches, reducing operator fatigue. 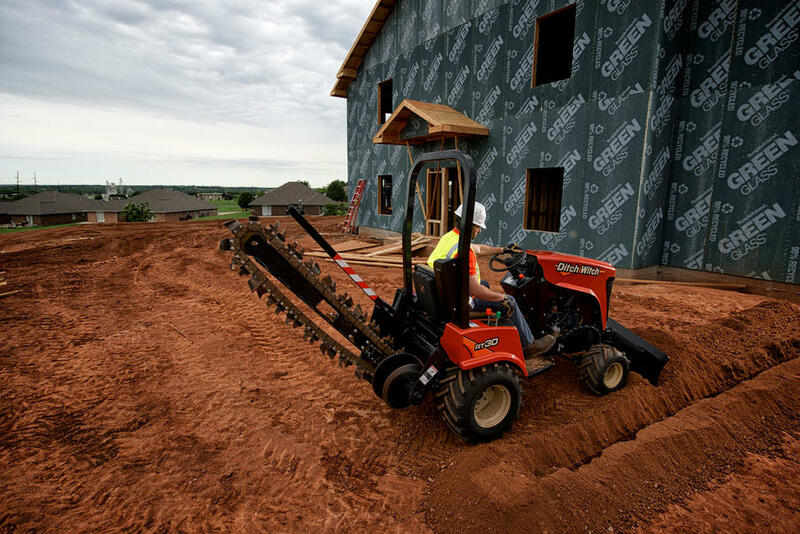 24-hp Kubota diesel engine supplies plenty of power for trenching in a wide variety of ground conditions. 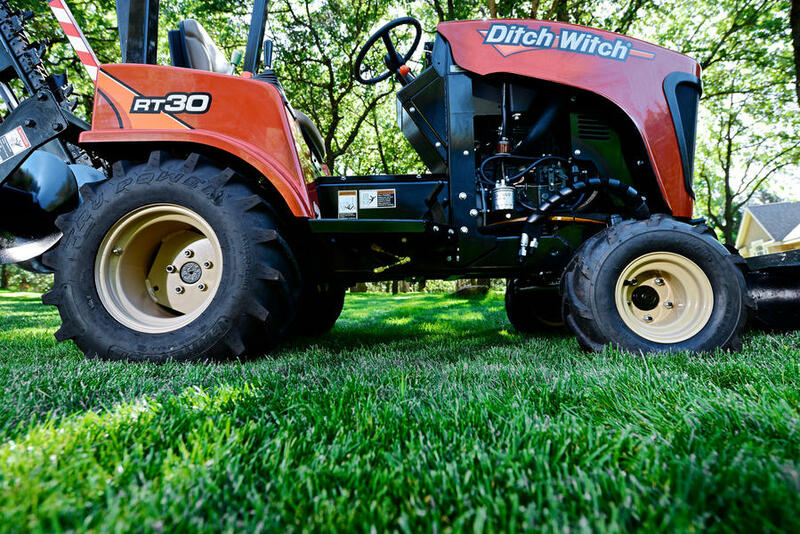 Like all Ditch Witch equipment, the RT30 is designed and manufactured to reduce downtime; utilizes long-lasting, field-proven components to enhance reliability, which ultimately results in greater rental revenue. 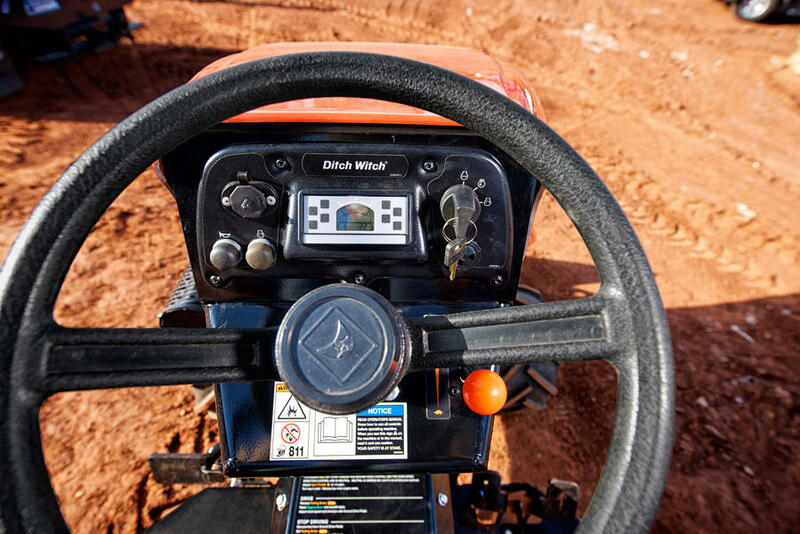 Ditch Witch chains, teeth and sprockets are specially designed and manufactured to work together to provide exceptional productivity; industry-leading DuraTooth™ digging system provides unbeatable reliability and performance, resulting in less downtime and wear part investment for rental yards. 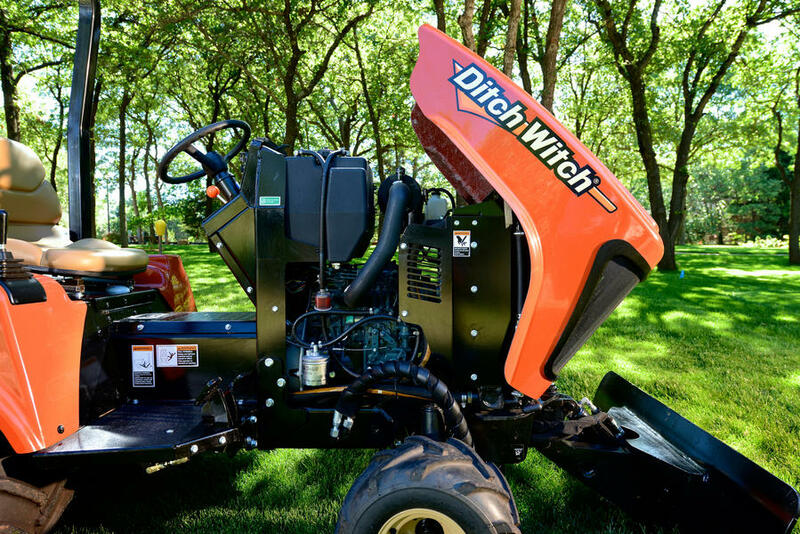 Support from the most dedicated dealer network in the underground construction industry; more than 165 Ditch Witch dealerships worldwide offer everything you need, from equipment sales and service to training and genuine Ditch Witch parts. 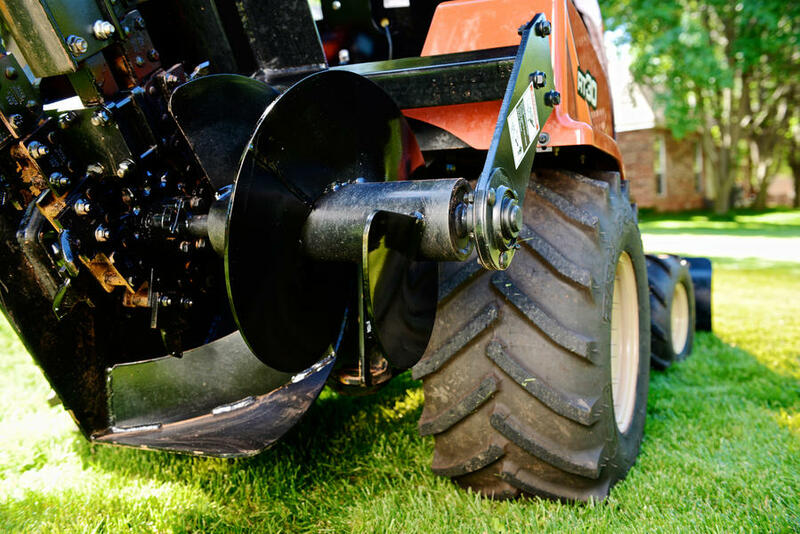 * Dimensions are based on H210 attachment and 36" boom.